It’s easy for me to get caught up in the rush of crazy arm balances or funky inversions, to see how far my body with bend or how high I can fly. But if I am not grounded, my excitement doesn’t matter much. You can’t expect to soar if you don’t have a firm foundation, a steady hold, or a strong core. It’s easy to skip over finding that grounding though. Often, it’s not until I fall that I realize I’ve neglected it. 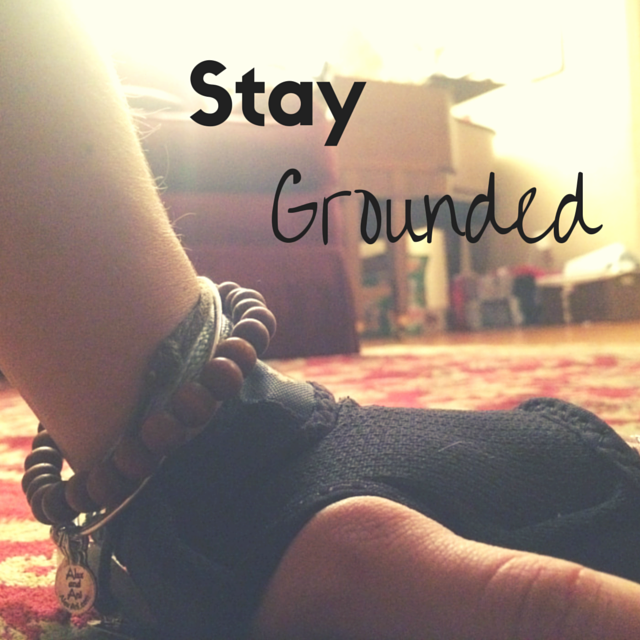 In yoga, we use the term “grounded” a lot. I am not a yoga expert by any means, but I see grounding as a way to bring yourself to the present. Notice the ground that you are sitting, standing, or balancing on. Notice your breathing. Sometimes I just need to stop, breathe, and focus. We can miss so much of life by not seeing or noticing what is around us. While it isn’t bad to get caught up in the excitement of trying or conquering a new pose, it is always important to remember to ground yourself first. That’s when the magic can happen.